Albourne Heritage Centre Curator John Dymond points out the layout of the 506 PIR camp with the help of Ww2 era photographs. Earlier this month I had the pleasure of being the historian guide for the US National World War 2 Museum “Band of Brothers Tour”. They are partners of the Liberation Route Europe. 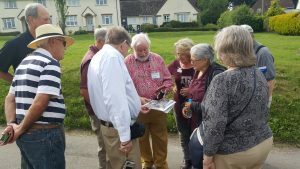 I accompanied the group to Aldbourne in Wiltshire, where the 506th Parachute Infantry Regiment were billeted in 1943-44. The Aldbourne Heritage society were splendid hosts. Travelers were curious about the reaction of villagers to the influx of American soldiers doubling the population. One of the overwhelming thoughts must have been reminders to them of their own menfolk, doing their bit for the war effort far from home. 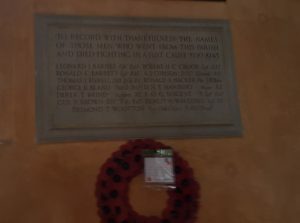 The names on the memorial plate in the church provide evidence of the war service of villagers. Most of those who served came back, and the memorial is merely a fragment of the part that Aldbourne played in the war. 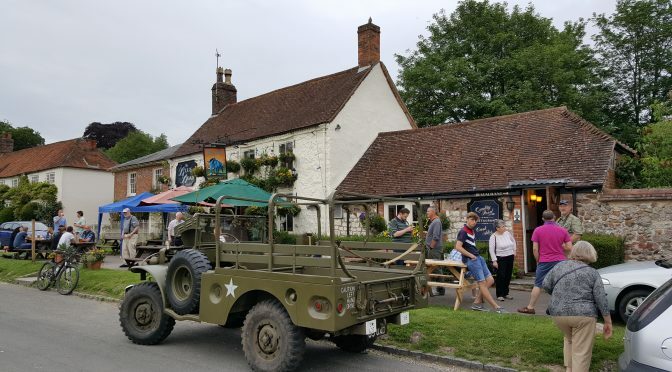 By the time that Easy Company arrived in Aldbourne many men were serving in one of the armed forces, and eight people from Aldbourne had already died. At 00.45 hours on 17 Jan 1941 the unescorted M V Zealandic was hit underneath the forward mast by one torpedo from U-106 about 230 miles west-northwest of Rockall. The ship stopped for a short time, sent distress signals and then continued. The ship sank slowly after being hit amidships by more two torpedoes at 00.59 and 01.27 hours. The Germans observed how the crew abandoned ship in three lifeboats, but they were never seen again. The master, 64 crew members, two gunners and six passengers were lost. The passengers included 31 year old Wing Commander D. P. Lascelles RAF, and his wife Diana Trelawny,who lived on the Green, Aldbourne. Wing Commander Lascelles’ younger brother Flying Officer John Richard Hasting, had been lost over the Atlantic three month earlier, aged 20. Two others died at sea before 1943. 17 year old Desmond Trevor Wooton was serving as a Boy 1st Class in the Royal Navy on 24th May 1941 aboard H.M.S. Hood when it was sunk by the German battleship Bismarck in the Denmark Straits between Iceland and Greenland. He was the youngest of the village war dead. Commander Arthur Jelfs Cubison, (D.S.C. and Bar) RN was a naval hero. 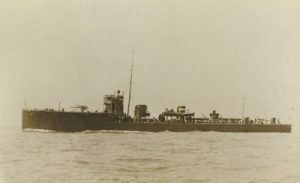 He was awarded the Distinguished Service Cross (DSC) as the Gunnery officer of the 770 ton destroyer HMS Tigress, when the Tigress and three other small craft gave chase to a German-Turkish squadron including the 22,500 ton battle cruiser Yavuz Sultan Selim (Ex German SMS Goeben) and 4,500 ton cruiser Midilli (Ex German SMS Breslau). Cubison showed marked ability, quickly straddling and hitting an enemy destroyer. 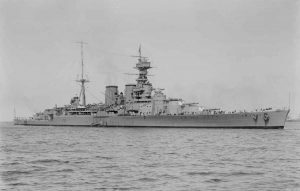 Between the wars his career included service on river gun boats in Iraq during the Arab Rebellion in 1924 and ended with his retirement in 1934, after 21 years in the Royal Navy. At the outbreak of war, he re-joined the Navy and served at HMS Vernon, the Navy’s torpedo and mine recovery school. He took part in the evacuation from Dunkirk and was awarded a bar to his DSC. 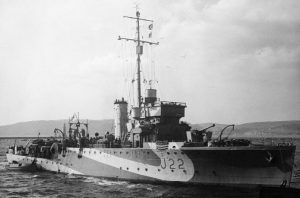 In 1942 he was the Captain of the 835 ton minesweeper HMS Niger. In fog on 5 July 1942, with visibility of less than a mile, he mistook an iceberg for Iceland’s North Western Cape and led six merchant ships of the Murmansk to Reykjavík convoy QP 13 into Northern Barrage minefield SN72 laid one month earlier at the entrance to the Denmark Strait. Every ship detonated British mines. 46 civilian crew and 9 Naval Armed Guards died aboard the American Liberty ship John Randolph, and the freighters Hefron and Massmar. There were only eight survivors of the 127 men aboard Niger. Only one freighter could be salvaged. An expensive accident and a tragedy for mariners who had survived the Arctic passage to Russia. 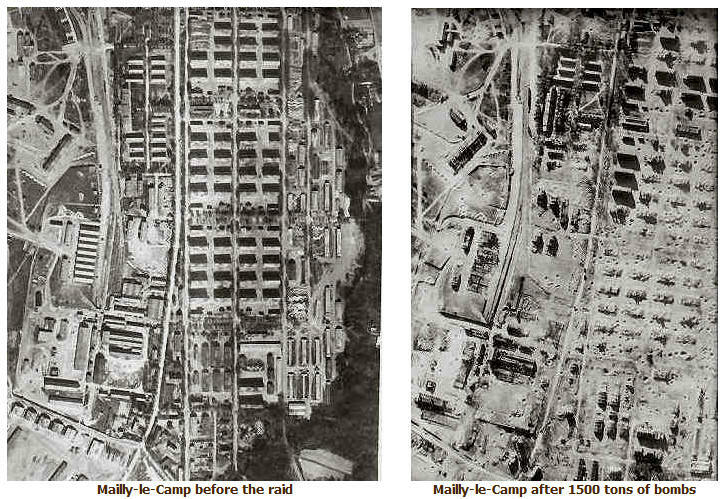 Four airmen died before Easy Company arrived. Corporal Leonard John Barnes died in the UK on 12th June 1942, aged 26, and is buried in Aldbourne Churchard. Spitfire Mk V in markings of No 234 Squadron April 1942. There is also a private headstone to Pilot Officer George Roxberry Bland, of 234 Squadron RAF who died on 16th April 1942, age 20, but his body was never found. His was one of two Spitfire aircraft from, 234 Squadron RAF probably shot down by German fighters as cover to an air sea rescue patrol off Cherbourg. Sergeant Robert Herbert Charles Crook of 45 Squadron RAF was lost on 18th April 1941 over the Western Desert. He has no known grave and is commemorated on the El Alamein Memorial in Egypt. USAAC uniform. Rosner is buried in the Normandy American Cemetery in Plot A Row 3 Grave 38, above Omaha Beach. During the period that Easy Company were billeted in Aldbourne before D-Day, three more men from Aldbourne would die. 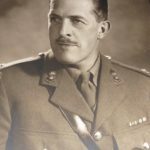 35-year-old Captain Dermot Horace Thomas Hanbury, Royal Engineers died in India in January. Lieutenant Thomas Martin Francis Lowinsky of 1st Battalion Scots Guards died 16th February 1944, age 22, at the height of the fighting at Anzio, Italy. Sapper William Robert May, of 42 Field Company, Royal Engineers also died in the battle for Rome, on 1st June 1944, and is buried in Cassino War cemetery. He left a widow, Florence, in Aldbourne. 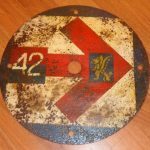 Route marker for 94 Field Regiment 43rd Wessex Division. Markers like these would have been familiar to the 101st. Division which played an important role in Operation Market Garden. He was killed by a shell splinter on 1st October a dozen miles from where Easy Company made their attack on the same day. “Every single man in the regiment had the greatest confidence and admiration for him, and whenever he visited the gun position during lulls in the battle he always had a cheery word and smile for everyone.” Bishell is buried in Arnhem Oosterbeek War Cemetery. Not far very far away, across the German border is the Commonwealth Reichswald War cemetery, which contains the graves of many RAF airmen, including that of Flight Sergeant Kingsley Osbern George Nugent, the Navigator of a twin engine Mosquito fighter bomber downed on 26th November 1944. 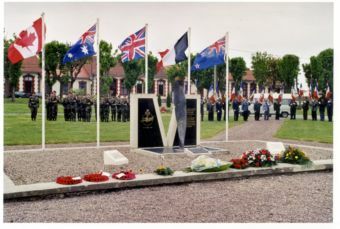 He is buried alongside the Bahamian pilot, flying in the 305th (Polish) Squadron, an illustration of the patchwork of nationalities in the RAF. Easy Company’s route to Berchtesgarten passed within ten miles of the War Cemetery at Durnbach where Sergeant/Air Gunner Bernard Conrad Ricketts of 170 Squadron, Royal Air Force is buried after his Lancaster bomber was shot down in the last RAF raid on Nuremburg, Bavaria. 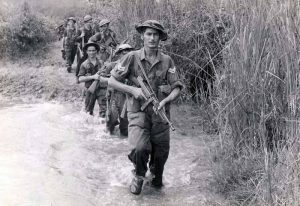 The British army in Burma is sometimes known as the “Forgotten Army.” But there were some 20,000 British soldiers who fought in the Chinese American Northern command under US General “Vinegar Joe” Stillwell. They weren’t “forgotten” because few people ever knew they existed! One of these men was Private Ronald Arthur Hacker, 6th Battalion South Wales Borderers, who died on 15th November 1944, age 25. At Gyobin Chauang on the road to Mandalay, his battalion fought a five day battle with the Japanese 128th Infantry Regiment in thick jungle. Hacker has no known grave and is commemorated on the memorial at Yangon(Rangoon), Burma. The last Aldbourne fatal casualty of the war was Flight Lieutenant Guy Richard Brown, DFC RAF who died, aged 24, on 6th September 1945, three weeks after the Japanese surrender and is buried in Heliopolis War Cemetery, Cairo, Egypt. Brown was awarded the DFC for his service in 50 operational missions over Egypt and Libya leading to the capture of Tripoli. After then he seems to have flown for a electronic countermeasures unit in Britain against Germany. At the time of his death he was serving in an air ferry unit. The bus shelter was built as a memorial to him. There is another name on the village war memorial, Sergeant Ernest Wakefield Royal Engineers. This name cannot be linked to any name in the Commonwealth War Graves Commission database. Village memorials were erected by the local parish and we may never know anything more about this man. Of the seventeen names on the memorial, seven have no known grave. Their relatives would have received a message that their loved ones were missing, and that it was possible that they would be found or had been taken prisoner. Much later there would be a letter stating that their status was “missing presumed killed.” It must have been hard to hope that it was all in error, and that one day they would come home. The Band of Brothers of Easy Company 506 PIR fully illustrates the experience of every and any American soldier in the liberation of Europe. Aldbourne is a village which can represent every and any English village. While every village has its own unique history and Aldbourne seems to have been the home of a higher proportion of officers than many, the war service of its villagers covers all three services, across the globe. The fortunes of war took many of them into contact with American servicemen in general and several of them even cross the paths of Easy Company. They all did their bit. If asked to name some famous aircraft from the Battle of Britain, most people would think of Sptifires, Hurricanes, Messerschmits, Heinkels and Stukas The announcement of the plans to raise Dornier Do 17Z Werke nr. 1160 from the bottom of the English Channel has thrown the spotlight on a duel between a pair of aircraft. This duel touches on the controversy within the RAF about the best way to fight the battle of Britain. It also illustrates the link between the Battle of Britain and the night bombing of Germany. Hidden in the landscape too are the places that tell this story. Dornier Werke nr. 1160 was 7/KG3 (7 Staffel (Squadron), III Gruppe of KG.3 with fuselage codes 5K+AR, which was based at St Trond in Belgium on 26th August 1940. This source says that this aircraft was part of a combined formation of Dorniers from KG2/3 despatched to bomb Debden and Hornchurch airfields. Seven aircraft of the 7 Staffel started to bomb an aerodrome, probably Debden, causing some damage. Accounts of its loss vary from source to source; The original PoW Interrogation Report states that before reaching the target, when flying above clouds this aircraft seemingly became separated from the rest of the formation and lost its bearings. It was attacked by fighters, probably one of the RAF Hornchurch, Essex based Boulton Paul Defiants of No.264 Squadron RAF led by Flt Lt Banham, from their forward base at RAF Manston, Kent, which hit both engines and the cockpit as one, of between one and six, as again published accounts vary – Dorniers brought down by the Defiants, who lost three of their number to defending Bf109s. At around 13.40 hours the aircraft force landed on Goodwin Sands off the eastern Kentish coast at low tide. 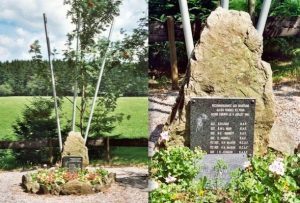 Of the four crew, two (Wounded Pilot Feldwebel Willi Effmert, and Bomb Aimer Uffz Hermann Ritzel) became Prisoners-of-War in Canada and two (27-year old Wireless Operator Unteroffizier Helmut Reinhardt and 21-year old Bomb aimer Gefreiter Heinz Huhn) were killed, their bodies being recovered later and buried in Holland and the UK (Cannock Chase German cemetery) respectively. controversy which has continued ever since. 26th August is roughly half way through the Battle of Britain, at the height of the Luftwaffe attacks on the RAF Fighter Command Airfields. 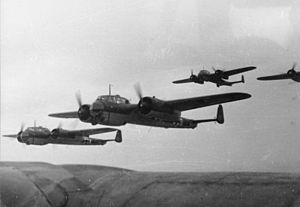 On this day the Germans would lure the RAF forwards to fight in an air battle over Kent and then send in a bomber force to try to knock out Fighter Command Airfields at Debden and North Weald and North of the Thames in Essex. 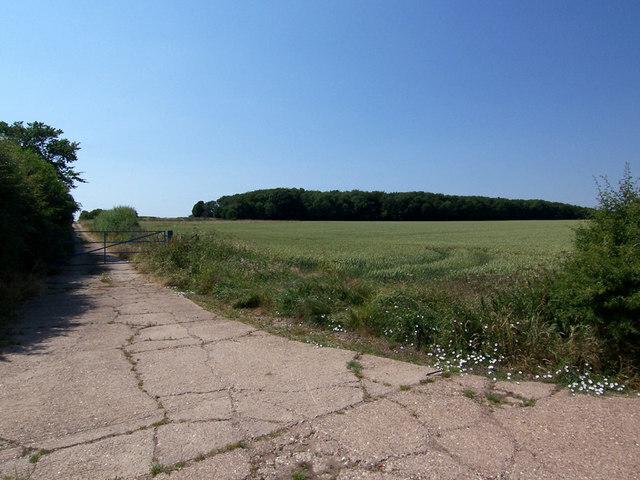 These airfields were beyond the range where the bombers could be escorted by the singe seat Me109 fighters. 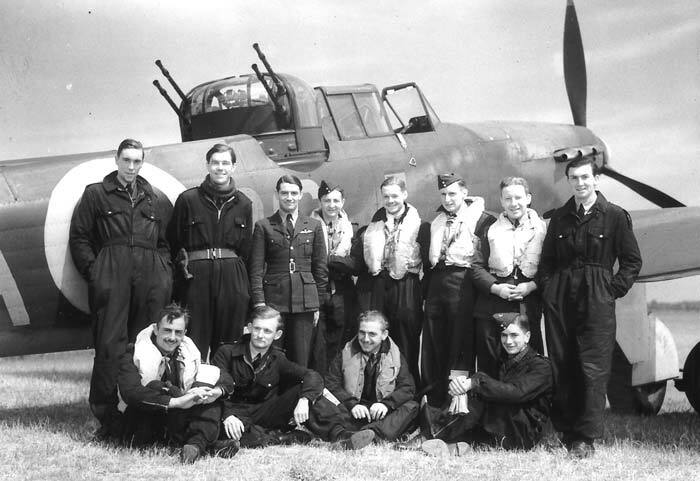 No 11 Group RAF, under the command of Keith Park was responsible for defending London and the South East and bore the brunt of the Battle of Britain. Their squadrons were directed towards incoming raids using the sophisticated integrated air defence system developed under Hugh Dowding. Their own airfields would be defended by squadrons from the neighbouring No 12 Group under Trafford Leigh-Mallory. On 26th August this did not work. The cloudy conditions of the day helped the Germans to remain hidden from the RAF, and Debden airfield was bombed at 15.20 hrs killing several servicemen and causing damage. This was one of the incidents which triggered the conflict between Keith Park and Leigh Mallory, the respective commanders of No 11 and No 12 Groups, the debate over the “Big Wings”, and the side-lining of both Dowding, the Commander of Fighter Command and Park. 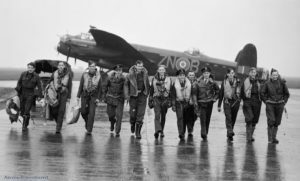 This is a controversial episode in the story of the RAF which still makes ripples today, and is a fascinating case study of leadership and management which still offers lessons. The RAF Museum information sheet leaves some questions about the relationship between Dornier Do 17Z Werke nr. 1160 and the raid on Debden. This aircraft appears to have crash landed two hours before the raid on Debden took place and may have been the result of some other engagement. According to the RAF Official History,(1) there were two major day raids on Monday 26th August 1940, not one raid as is the impression given by the information sheet. 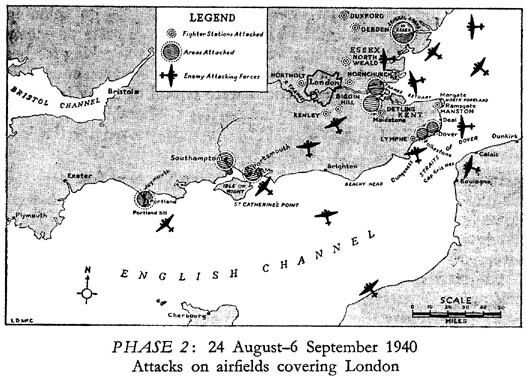 The first raids took place between 11.35-13.40 and took the form of a series of air raids on towns and airfields in Kent. The raiders included aircraft from III/KG3, and were intercepted by aircraft from, five squadrons including 264 Squadron. 264 Squadron, equipped with Defiant fighters and No 56 Squadron with Hurricanes sighted a formation of twelve Do17s near Deal before noon. The German bombers were flying at 13,000 ft and protected by thirty to fifty Me109s. 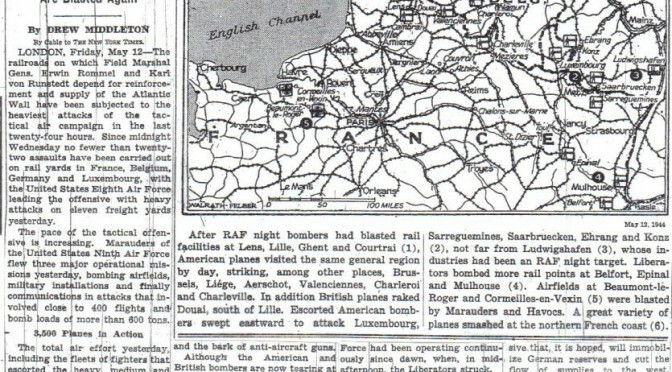 The seven Defiants succeeded in getting at the bombers and claimed to have shot down six of them. 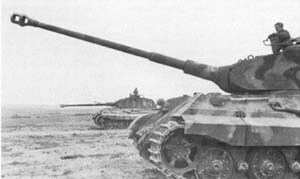 However, the Me109s harassed them continuously shooting down three Defiants. This is the action which appears to fit the circumstances of the loss of the Dornier of No 7 Staffel of III/KG3 as it took place close to the Godwin Sands, a gliding distance from East Kent. The timings don’t quite fit either, but might make sense if the time of the crash was reported by the Germans using French/German time an hour ahead of the local UK time. The loss of this Dornier to a Boulton and Paul Defiant has a certain historical irony. The connection between these aircraft is an interesting case study in the development of military technology. The 1930s was a period of technological change in military aviation. 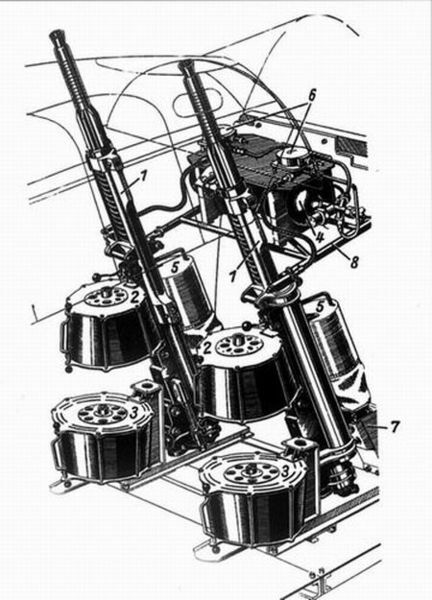 New engine designs and the potential of aluminium stressed skinned air-frames offered the potential to fly much faster than possible with fabric and braced struts and stronger structures than could be destroyed by the twin machine guns of contemporary fighter aircraft. The Dornier 17 was specified in 1932 as a “mail carrying aeroplane” but intended for reconnaissance. The resulting aircraft was faster than most biplane fighters and won an speed award in a 1937 air show in Switzerland, its top speed of 255mph was faster than French or Czech fighters. But by 1940 Do 17Z Werke nr. 1160 was already obsolescent. Fighter design had caught up and the Do 17 was slower than the RAF single seat fighters. Its bomb load was much smaller than the Ju88 and He 111 and new versions of the aircraft had already been commissioned. Although KG3 continued to fly this type of aircraft through the Blitz of 1940-41, from May 1941 the Wing converted to the Ju88. III/KG3 was the last to convert, in the following winter returning from the east front to Guetersloh in Germany. 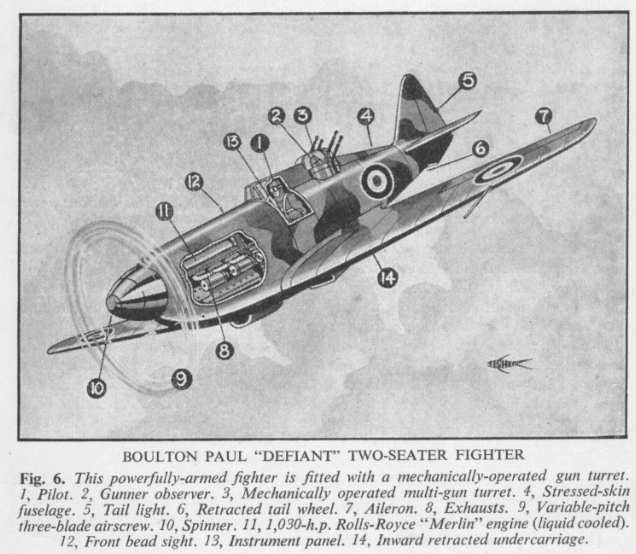 The Bolton and Paul Defiant is often ignored completely in popular accounts of the Battle of Britain, and when mentioned it is usually as an example of a failed aircraft design. Any internet search of “ten worst aircraft of WW2” will find the Defiant high on the list. Yet the idea behind the aircraft had a lot of merit. No one knew how aerial warfare might be possible with the 1930-40s generation of aircraft. 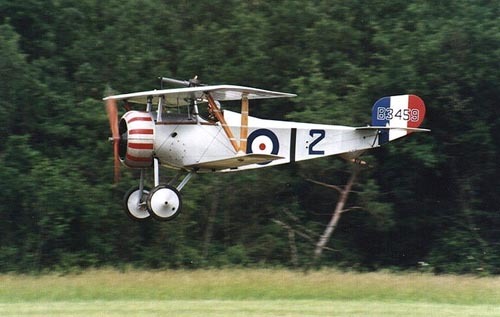 The aircraft of the Great War flew at the same sorts of speeds achievable by a fast sports car, and needed to close to within 50m to achieve a kill. Twenty years later aircraft could fly two to three times faster, raising questions about whether aerial combat would possible at all. In the 1930s the major threat as perceived by the RAF was of German bombers attacking Britain from Germany. The thinking of the time envisaged aerial bombardment by explosive and chemical weapons which might cause thousands of casualties. This was the era when it was believed that the bomber would always get through. To its credit the British Government and the RAF invested in developing technology to defeat bombers, which paid dividends in 1940. One of the major problems was overcoming the difficulty of deflection shooting with the high speeds of WW2 era aircraft. One solution was to develop a large battery of guns in the wings of a single seat fighter, as adopted with the Hurricane and the Spitfire. Another solution was for the fighter to fly a parallel course and eliminate the need for deflection shooting. The Boulton and Paul Defiant, like the Hurricane and Spitfire was a monoplane fighter powered by a Rolls Royce Merlin engine. 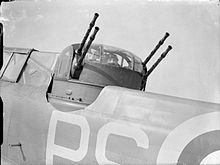 However, the Defiant had a crew of two with a gunner in a Fraser Nash power operated turret to provide a battery of four 303 calibre machine guns which could shoot down a bomber by engaging it from any angle, ideally from some blind spot where the bombers could not engage. The RAF hedged their bets in defensive technology. 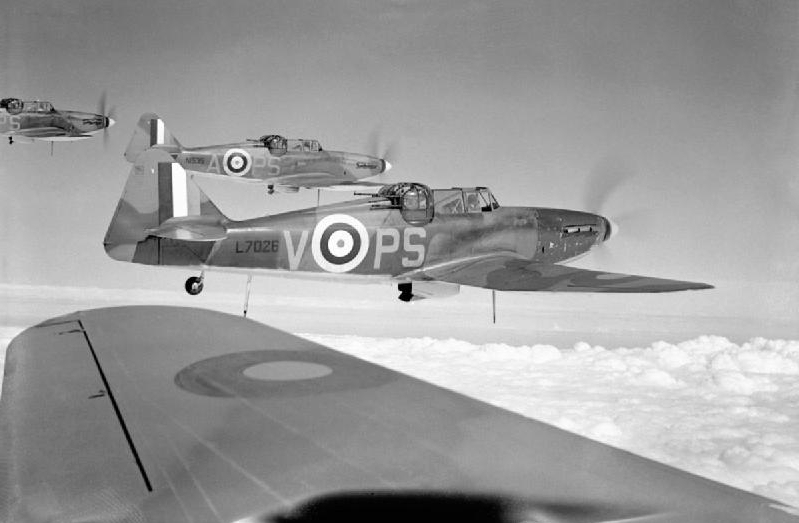 Alone of all combatants in 1939, it had developed aircraft like the Defiant and the similar Blackburn Roc to use this method of fighting, as well as single seat fighters like the Spitfire and Hurricane. One of the assumptions made at the time the Defiant was specified was that a German attack would be launched from Germany, outside the range of any single seat fighters. No one predicted that France would fall and the air attack would be from France and within range of single seat fighter escorts, which would find the slow and heavy Defiant easy prey. Although the Defiant could spring a nasty surprise on a German fighter which misidentified it as a Hurricane, the limitations and vulnerability of their aircraft had been identified before the Battle of Britain started. 264 Squadron had taken heavy losses in May over Dunkirk and had been withdrawn to the Midlands beyond the range of German single seat fighters. The fact that this squadron was in the air over Deal on 26th August 1940 shows the limits to which Fighter Command had been stretched. This air battle on 26th August is one of the few occasions where the Defiants were used against a bomber formation. According to the 264 Squadron records the Squadron shot down seven Do17s for the loss of three Defiants. The Commonwealth War Grave Commission records show that on that day two sergeants from 264 Squadron died. 26th August was a relatively good day for the Defiants as a total of fourteen men died between 24-28th August 1940, just under half the number of aircrew established for the Squadron, and more than lost by single seat fighter unit in the battle. One of the advantages the RAF had over the Germans in the Battle of Britain was that many RAF aircrew could bail out of a stricken aircraft and return to the fight, while any Germans shot down would be a prisoner of war. The RAF reported 324 single seat fighter lost in August for the loss of 126 of the pilots killed. Just under two thirds of the pilots parachuted to safety. That isn’t the case with the Defiants of 264 Squadron who appear to have lost two aircrew for each aircraft. There are enough first hand accounts of the experiences of “The Few”, to know of the fearful experience of being attacked by a German fighter with only the armoured seat for protection and then bailing out from a crippled and burning machine falling from the sky. 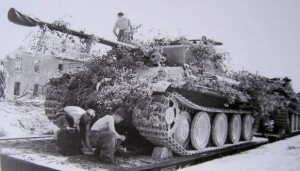 How much harder was it for a Defiant gunner, unprotected by armour to survive an attack, or to bail out of a Fraser Nash Turret if the power failed or the mechanism was damaged by cannon splinters? RAF losses for August. I wonder too, whether the presence of a crewman inhibited Defiant pilots from jumping rather than stay with their stricken machine to try to maintain control for as long as possible? Two days after the action on 26th August, 264 Squadron were withdrawn from No 11 Group to No 12 Group and were tasked with operating as night fighters. The although the Defiant was heavier and less manoeuvrable aircraft to fly than either the Spitfire and had a landing speed over 100mph, it was a stable aircraft which made it more suitable as a night fighter. In Autumn 1940 the RAF had no means of finding the enemy other than the Mk1 eyeball and 264 Sqn struggled in this role through the Blitz. In 1941 they received Mk II Defiants which included a Mk VI Airborne interception radar operated by the pilot This seems less efficient than an arrangement allowing the pilot to concentrate on flying the aircraft and keeping visual look out while a second person on board operated the radar, as in the Beaufighter and Mosquito night-fighters. 264 Sqadron soldiered on with the Defiant until 1942 when the Squadron was converted to the Mosquito, a much better night fighter and the air gunners were posted out and replaced by navigator radar operators. Prey Turned Hunter. 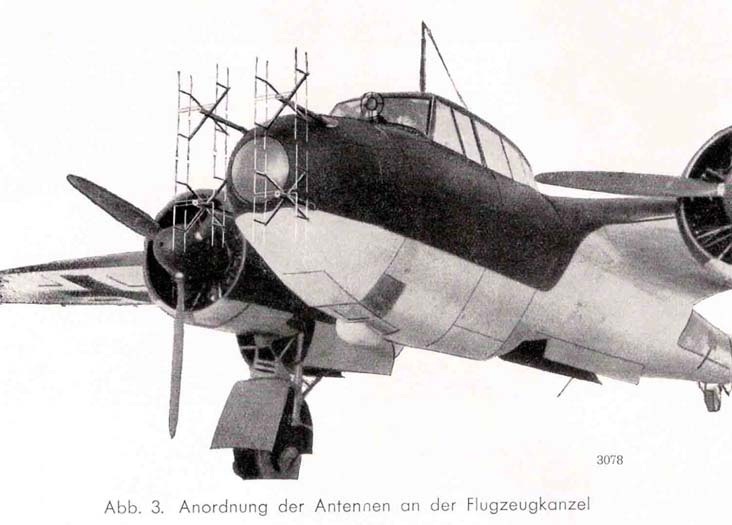 Dornier 17Z fitted with SN2 airborne Interception radar. Lieutenant Ludwig Becker used an aircraft like this fitted with the prototype of this radar to shoot down five bombers in August 1941.
considering the defence of the Reich from nocturnal air attacks. An interest sharpened by the raid on Berlin on the night of 25-26th August and whose raiders would be tucking into their breakfast about the same time that 7./KG3 would be waking up to theirs. Night air defence was low on Luftwaffe priorities and the night fighter force used the aircraft they could. Given that the Do 17 was becoming obsolete as a day bomber, the German night fighter force started using the Dornier as the basis for a night fighter. It had a sufficient margin of speed over the RAF’s Hampden,Wellington and Whitley bombers. Replacing the perspex nose with a fairing with a 20mm cannon and three machine guns and, or a gun pack under the nose gave the Do 17 as much fire-power as a day fighter. On 2nd October 1940 a Do17Z of NJG 1 (Night Fighter Wing 1) command by Lt Ludwig Becker made the first successful German radar controlled interception on 2nd October 1940, shooting down a Wellington Bomber. The Germans too were developing airborne radar, and in August 1941 the same Lt Becker using the prototype Lichtenstein BC (FuG 202) airborne interception radar shot down five British bombers. Over the next two and a half years the Do17 and its redeveloped versions the Do 215 and Do217 were one of the mainstays of the German night fighter force, until replaced by better machines, such as the Ju88 R1, a faster machine. This Ju88 R1 was flown to England by a defecting crew, on 9th May 1943 bringing with it the secrets of the SN 2 (Fu202) airborne Interception radar. 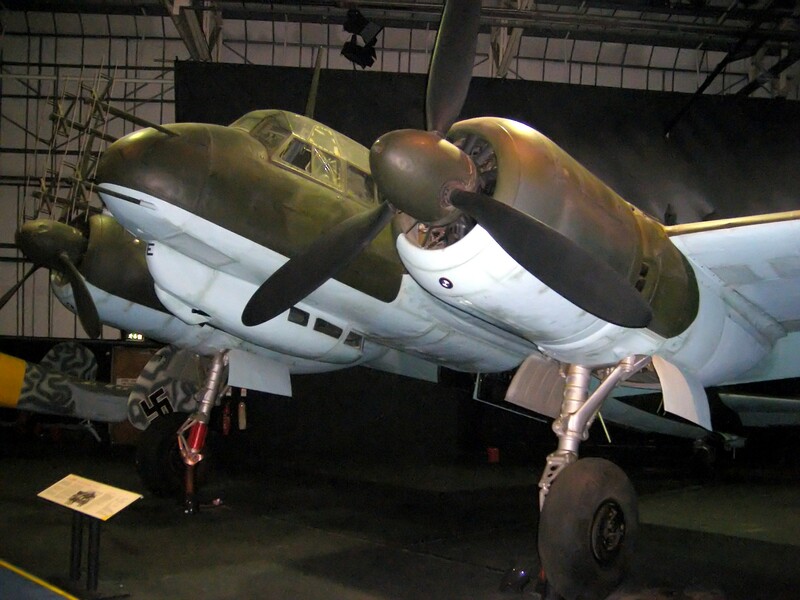 The RAF Museums JU88R-1 W/Nr 360043, served with IV/NJG.3, coded D5 + EV is anachronistically displayed in the Battle of Britain Hall, as it is part of the story of the air offensive on Germany told alongside the RAF Bombers it once stalked in the Bomber Hall. While this aircraft is a version of the Ju88 which flew in the Battle of Britain, it is the sleek fighter version without the bulbous crew crew compartment or the glazed “beetle Eye” nose of the bomber version, and antennae sprout from its nose. This is also a very special aircraft with a provenance which gives the same significance as, say a machine flown on the dams Raid. This is an aeroplane which made an individual difference to the war, and saved many allied lives. 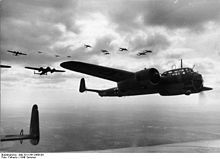 The Ju88 R1 is not the bomber version which flew over Britain in 1940. but a night fighter variant with a sleek shallower fuselage and a crew of three rather than four, equipped with a battery of 20mm cannon, an average of ten shells from which would destroy a heavy bomber like a Lancaster or Halifax. Most important this version has a fairing covered in radar aerials of the production version tested by Lt Becker. This particular aircraft was obtained by the RAF when a Luftwaffe night-fighter crew defected to England, on 9th May 1943 bringing with it the secrets of the Lichtenstein SN2 airborne interception radar, enabling the British to develop counter-measures. Diagram showing the installation of two 20mm cannons to fire obliquely above the cockpit of an Me110G2. The Me110 G2 anachronistically displayed in the RAF Museum Battle of Britain Hall is fitted with this Schräge Musik “Jazz Music” for shooting down RAF night bombers. There is a lot to see relating to the events of the Battle of Britain and the battle on 26th August. Of course the RAF museum has a lot of the aircraft involved, including the only surviving Bolton and Paul Defiant and at some point in the future, Dornier 17z. Here are some other places associated with the stories in the battle:-This could be the focus for people with an interest in wider aviation heritage. Bentley Priory Museum (Currently being redeveloped) where the information from different sources was filtered and passed to Groups as plots of raids. No 11 Group Command Bunker Uxbridge, where the Group Controller made the decision to commit No 264 and 56 Sqns to intercept 7./KG3. RAF Northolt Restored Sector Control Room, the only No 11 Group Control Room in existance. The reconstructed Sector Control room at the Imperial War Museum Duxford IMW, is where the No 12 Group aircraft were scrambled to intercept the raiders at Debden – but arrived too late. The underground control room at Dover Castle, where the AA defences on that day were controlled. 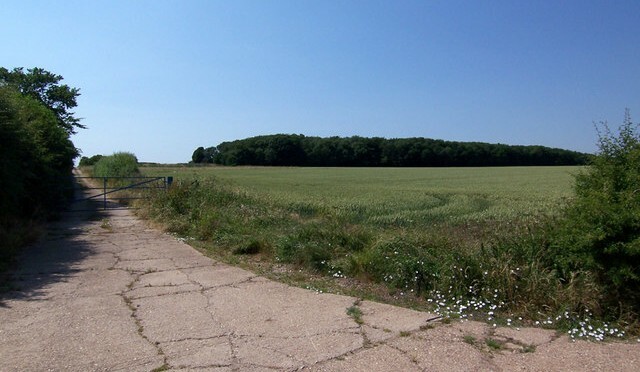 RAF Debden, the target for the raids in the afternoon is a very well preserved Battle of Britain airfield, but is now Carver Barracks and home to No 33 Regiment Royal Engineers. RAF Manston, the airfield where 264 Sqn used as a forward base on 26th August 1940 is now Kent International Airport, and there an RAF Manston History museum next to the Spitfire and Hurricane museum at Kent International Airport. RAF Hornchurch, where 264 Squadron were based for their costly week in No 11 Group is now Hornchurch Country park. Most of the administration and technical areas of the airfield are now a housing estate. It was the subject of a Tv archaeology programme in the “Two men in a Trench” series. Some buildings have been preserved, includign the Offciers Mess, now a medical centre. The local pub, the Good Intent, which served airmen from the base has in recent times had a collection of photographs. St Trond Airfield became a Belgian Airforce Base after the Second World War. It is now Limburg Regional Airport. Gefreiter Heinz Huhn is buried in Cannock Chase German Military Cemetery alongside about 5,000 other German and Austrian war dead from the World Wars. The names of the eight of the fourteen men killed flying for No 264 Squadron whose bodies have never been recovered are commemorated on the Runnymede Memorial for the missing, overlooking London. A fitting place to remember and reflect. 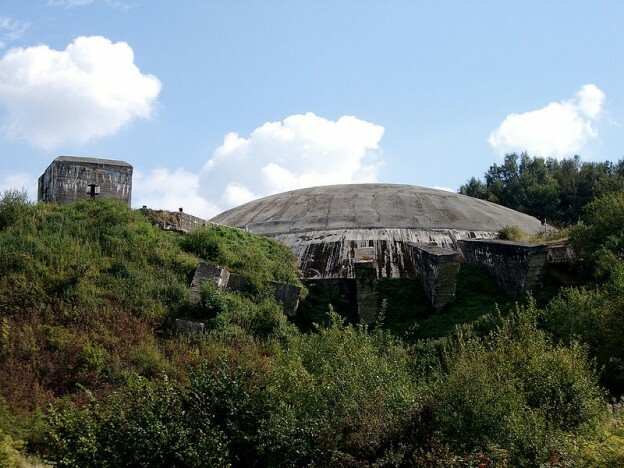 Contact Air Power tours if you would like to find out more about visiting the sites associated with this air battle.